Whole grains are hearty, flavorful and filling. Choose from brown rice, oatmeal, corn, whole-wheat bread, barley, bulgur, kasha, millet, sorghum, farro and more. The fiber-rich bran, nutrient-packed germ and starchy endosperm are all natural parts that remain in whole grains. Refined grains lack the bran and germ, while whole grains provide more nutrition, fiber and health-promoting phytochemicals. Whole grains are good sources of fiber and magnesium and provide some protein. Individual whole grains vary; several types are also good sources of manganese, thiamin, nicain, vitamin B-6 and/or selenium. A variety of healthful compounds in whole grains combine to make these foods high in potential anti-cancer activity. Dietary Fiber is present in all whole grains. Resistant Starch is a type of starch that our body does not digest. Polyphenols occur in whole grains, including phenolic acids and flavonoids. Lignans are a polyphenol compound. Saponins are compounds being studied for their anticancer properties. Alkylresorcinols are phenolic lipids found only in the outer parts of wheat and rye grains. Phytic acid, present in grains and legumes, is being studied in the prevention of cancer. Protease inhibitors may prevent cancer cells from spreading. Tocotrienols are compounds similar to the tocopherols. Like Seaweed and Quail Eggs? How trying new foods may link to a healthy weight. Whole grains: how much do you need for lower cancer risk? 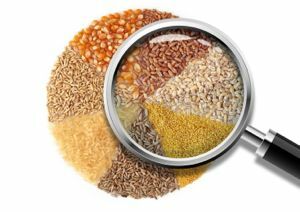 The wide variety of whole grains makes it challenging to pinpoint how this food group reduces cancer risk, which it does. All whole grains contain fiber. There are several ways fiber may lower risk, including diluting potential carcinogens and promoting healthful bacteria growth. Whole grains may also help with weight control; excess body fat increases the risk of 12 cancers. 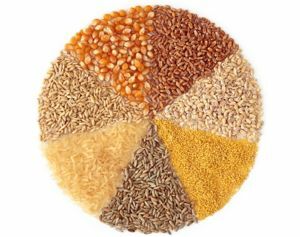 Brown rice, oatmeal and other whole grains are also good sources of selenium, a mineral that has antioxidant properties. Each type of whole grain also contains a variety of phytochemicals, many being studied for their cancer protective effects. Whole Grains contain fiber. After a systematic review of the global scientific literature, AICR/WCRF weighed the strength of the evidence linking whole grains and dietary fiber to lower risk for cancers. The insoluble fiber in whole grains does not get digested or dissolve in water. This dietary fiber seems to protect against colorectal cancer by adding bulk and diluting any harmful substances in the gut, speeding out their passage. In animal studies, fermentable types of dietary fiber and resistant starch support growth of healthful bacteria in the colon. These bacteria produce compounds called short chain fatty acids that promote healthy colon cells and stimulate self-destruction of abnormal cells. In animal studies, lignans decrease growth factors and markers of inflammation. Other compounds in whole grains - including protease inhibitors, phytic acid, phenolic acids and saponins - have shown effects on cell signaling, gene expression and inflammation to slow the development of several cancers. In the 1990s, a series of population studies suggested that greater whole grain consumption was linked with lower risk of many cancers, including stomach, breast, and prostate. Since that time, research has focused primarily on whole grains' link to reducing breast and colorectal cancers, along with its link to weight control. There is a wide variety of whole grains, and the mixed results seen in population studies of whole grains’ effects on inflammation, insulin resistance and weight may reflect the varying fiber and nutrient content of different grains, different effects of intact cooked whole grains (such as oatmeal, brown rice and quinoa) compared to whole-grain products made from milled flours (such as bread and breakfast cereals), or differences in individual starting points regarding weight and health. Individual differences in metabolizing lignans could play a role in how whole grains lower the risk of cancers that are potentially affected by lignans, such as postmenopausal breast and colorectal. For example, within people's colon, individuals differ in converting lignans to enterolactone and other compounds. These compounds are circulated throughout the body and could play a role in lowering risk. Difficulties in accurately measuring how much whole grains people consume poses challenges to detect how whole grains may influence cancer risk. In recent years researchers have increasingly used blood levels of a compound called alkylresorcinol, which forms from compounds in whole grain wheat and rye, as a biomarker of whole grain consumption. This may lead to clearer answers as research progresses. Colorectal: AICR/WCRF's analysis of population studies links greater consumption of whole grains and foods high in dietary fiber to a decrease in colorectal cancer. risk For whole grains, each 90 grams (about 3 servings) of whole grains links to 17 percent lower risk of colorectal cancer. The protective link seen with whole grains was beyond what could be expected based on dietary fiber. Breast: Population studies on breast cancer related to dietary fiber and whole grains are more limited and mixed. One analysis of studies ties dietary fiber intake of 25 grams a day and more with lower risk, although this link may vary with the type of breast cancer and type and source of fiber. Other Cancers: Several population studies link whole grains with lower levels of inflammation and insulin resistance, which links to cancer development. Yet controlled intervention trials are not clear in showing these benefits. Weight Management: Excess body fat increases risk of 11 cancers. Short-term intervention trials, which typically last 3 months or less, have generally shown greater whole-grain consumption has no effect on weight or weight gain. But population studies consistently link greater whole grain consumption with lower body mass index (BMI) and less weight gain over about ten years. Several studies also suggest that consuming whole grains rather than refined grains causes a relatively modest but greater loss of body fat and abdominal fat, especially when whole grains are part of a reduced-calorie diet. Look for 100% whole grain on the package. Words like multi-grain or wheat do not necessarily mean the product contains whole grains. Some examples of whole grains include whole-wheat flour, oats, brown rice (also red or black), corn, whole barley, bulgur, sorghum, whole farro, millet and teff. On the ingredients list, look for the term whole or a specific whole grain (such as oats) listed as the first ingredient. If a whole grain is listed first and refined grain is listed after, then a product is mostly whole grain. 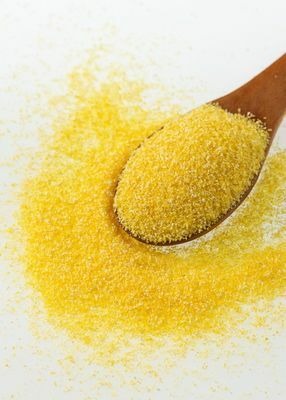 When purchasing cornmeal, polenta or grits, look for whole corn or whole-grain corn. If the package says degermed corn, it is not whole grain. 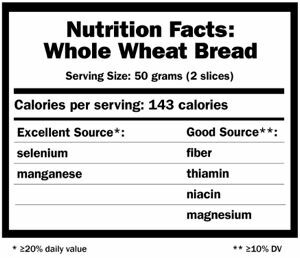 You may see products with a Whole Grain Stamp, which signifies a half to a full serving of whole grains per labeled serving. Whole grains contain healthful oils that can make them spoil faster than refined grains. Store them in airtight containers in cool places. You can store unmilled whole grains, such as brown rice and barley, in a cabinet away from heat and direct light for up to 6 months. They will keep for one year in the freezer. You can keep whole-grain flours or cornmeal in the refrigerator or freezer for 2 to 6 months. Replace half the white flour with whole-wheat flour in your usual recipes for muffins, quick breads and pancakes. Try whole-wheat pastry flour for a lighter texture. For a side dish that takes only about 15 to 20 minutes (or less) try grains with shorter cooking times like bulgur, whole-wheat couscous, quinoa and whole-grain pasta. You can also purchase instant or frozen brown rice, which takes less than five minutes to prepare. Try wild rice, brown rice, millet or sorghum when you have more time, which takes about 30 to 45 minutes to prepare. One cup of dry, unmilled whole grain will yield from 2 1/2 cups to 3 1/2 cups when cooked. For grain-based salads, look for wheat berries or rye berries, two forms of wheat and rye you can find in the bulk section. Add wild rice, brown rice, sorghum, quinoa, farro or barley to salads and soups: Use your leftover cooked grains in a soup you can heat up quickly, or let the grains cook right in your homemade soup. Per serving: 260 calories, 15 g total fat (1 g saturated fat), 27 g carbohydrate, 6 g protein 3 g dietary fiber, 30 mg sodium. How many servings of whole grains should I be eating? The amount of whole grains recommended depends upon your age, whether you're a man or woman and how active you are. For example, the government health recommendation for a woman age 31-50 is 3 to 6 daily ounces of whole grains; a man that same age group is 3.5 to 7 daily ounces. For everyone, guidelines recommend at least half of all the grains you eat should be whole grains. In general, a slice of bread, a half cup of cooked brown rice or half cup of cooked oatmeal is approximately one ounce. Visit the USDA My Plate for more information on recommendations and servings. I'm worried about eating whole grains because too many carbohydrates will cause me to gain weight, right? Too many will, but eating almost too much of any one type of food is unhealthy. Research consistently suggests that people who consume diets with plenty of whole grains, such as the Mediterranean eating pattern, have success losing weight and keeping off that weight. There is not one weight-loss approach that works for everyone, but by replacing any grains you do eat with whole grains, you can add in nutrients, fiber and other healthful compounds, while still watching your calories. Adom, K.K. and R.H. Liu, Antioxidant activity of grains. Journal of agricultural and food chemistry, 2002. 50(21): p. 6182-7. Slavin, J., Why whole grains are protective: biological mechanisms. The Proceedings of the Nutrition Society, 2003. 62(1): p. 129-34. Jonnalagadda, S.S., et al., Putting the whole grain puzzle together: health benefits associated with whole grains--summary of American Society for Nutrition 2010 Satellite Symposium. The Journal of nutrition, 2011. 141(5): p. 1011S-22S. Slavin, J., D. Jacobs, and L. Marquart, Whole-grain consumption and chronic disease: protective mechanisms. Nutrition and cancer, 1997. 27(1): p. 14-21. Chatenoud, L., et al., Whole grain food intake and cancer risk. International journal of cancer. Journal international du cancer, 1998. 77(1): p. 24-8. Pietinen, P., et al., Diet and risk of colorectal cancer in a cohort of Finnish men. Cancer causes & control : CCC, 1999. 10(5): p. 387-96. Schatzkin, A., et al., Dietary fiber and whole-grain consumption in relation to colorectal cancer in the NIH-AARP Diet and Health Study. The American journal of clinical nutrition, 2007. 85(5): p. 1353-60. Ferrari, P., et al., Dietary fiber intake and risk of hormonal receptor-defined breast cancer in the European Prospective Investigation into Cancer and Nutrition study. The American journal of clinical nutrition, 2013. 97(2): p. 344-53. Egeberg, R., et al., Intake of whole grain products and risk of breast cancer by hormone receptor status and histology among postmenopausal women. International journal of cancer. Journal international du cancer, 2009. 124(3): p. 745-50. Cade, J.E., V.J. Burley, and D.C. Greenwood, Dietary fibre and risk of breast cancer in the UK Women's Cohort Study. International journal of epidemiology, 2007. 36(2): p. 431-8. Olsen, A., et al., Plasma enterolactone and breast cancer incidence by estrogen receptor status. Cancer epidemiology, biomarkers & prevention : a publication of the American Association for Cancer Research, cosponsored by the American Society of Preventive Oncology, 2004. 13(12): p. 2084-9. Gaskins, A.J., et al., Whole grains are associated with serum concentrations of high sensitivity C-reactive protein among premenopausal women. The Journal of nutrition, 2010. 140(9): p. 1669-76. Lutsey, P.L., et al., Whole grain intake and its cross-sectional association with obesity, insulin resistance, inflammation, diabetes and subclinical CVD: The MESA Study. The British journal of nutrition, 2007. 98(2): p. 397-405. Calder, P.C., et al., Dietary factors and low-grade inflammation in relation to overweight and obesity. The British journal of nutrition, 2011. 106 Suppl 3: p. S5-78. Katcher, H.I., et al., The effects of a whole grain-enriched hypocaloric diet on cardiovascular disease risk factors in men and women with metabolic syndrome. The American journal of clinical nutrition, 2008. 87(1): p. 79-90. Andersson, A., et al., Whole-grain foods do not affect insulin sensitivity or markers of lipid peroxidation and inflammation in healthy, moderately overweight subjects. The Journal of nutrition, 2007. 137(6): p. 1401-7. Kristensen, M., et al., Whole grain compared with refined wheat decreases the percentage of body fat following a 12-week, energy-restricted dietary intervention in postmenopausal women. The Journal of nutrition, 2012. 142(4): p. 710-6.